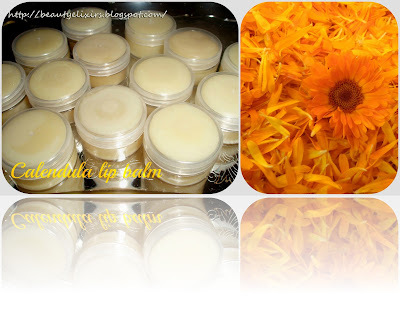 Calendula (pot marigold) is considered as a super herb that has excellent healing and cosmetic properties. 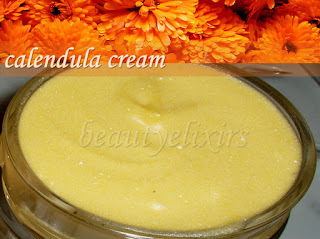 To make a calendula cream it is necessary to prepare first calendula infused olive oil In order to accentuate the soothing character of this recipe I also used chamomile infused almond oil. 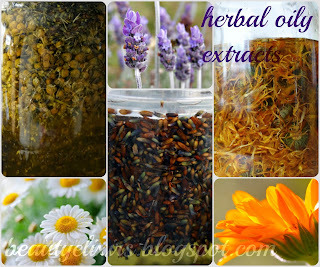 You can read how to make herbal tinctures & infused oils in this link. Ingredients are measured with measuring cups (1 cup=250 ml) or measuring spoons (1 tbsp=15 ml, 1 tsp=5ml). Chemically, lanolin is a complex mixture of esters, fatty acids and alcohols derived from the sebaceous glands of sheep. Readily absorbed by skin, lanolin resembles skin’s own sebum. 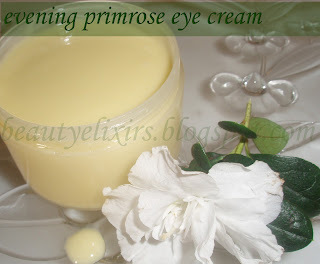 It is highly emollient and an effective moisturiser. It creates a protective film over the skin but allows to breathe. It has a fatty texture and it can absorb an amount of water equal to two times its volume supporting the emuslification of skin care preparations. In this recipe it can replace cocoa butter. The total oil phase should be equal to ¼ of a measuring cup (=62.5 ml). In order to correctly meausure the oils, wait until cocoa butter or lanolin ans shea butter melt and then add the liquid oils. Allantoin is a white odorless powder. It is naturally found in the roots and leaves of comfrey (symphytum officinale) plant or it can be synthetically produced. 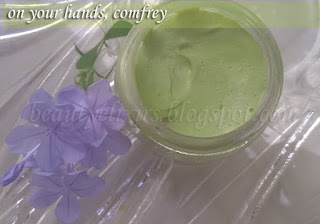 It protects, soothes, hydrates and rejuvenates the skin. 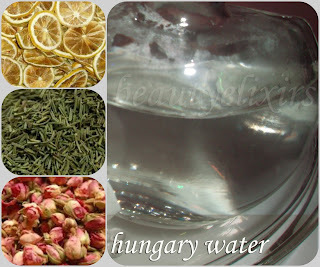 It will be added to the water phase of the recipe. 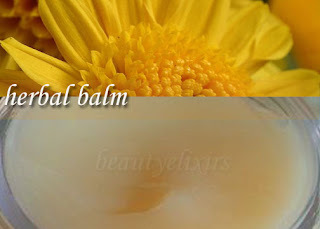 Vitamins Ε & Α are oil-soluble and will be added to the oil phase when the temperature is under 35 C(95F). Vitamin C & d-panthenol are water soluble and will be added to the water phase when the temperature is under 35 C(95F). 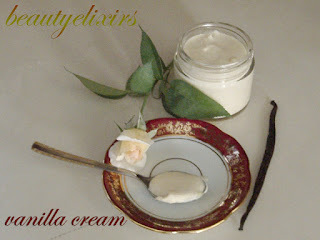 I don't think I have to expain why you should try this cream. 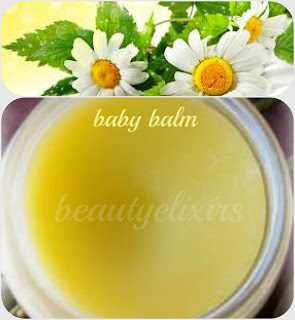 The selection, the combination and the synergy of oils, extracts and active ingredients result to a fabulous cream, suitable for babies, for all skin types, for body or face, suitable for you! Use a small quantity each time.